Sephora shoppers check your emails! There is another Holiday Beauty Insider Event coming up! You should of received an email yesterday from Sephora informing you of said event coming up next month! Depending on what level of Beauty Insiders you are, your discount will vary. This is a one-time use coupon, the code is 2017REWARD and can be used in-store or online. Offer is valid December 1-12, 2017. 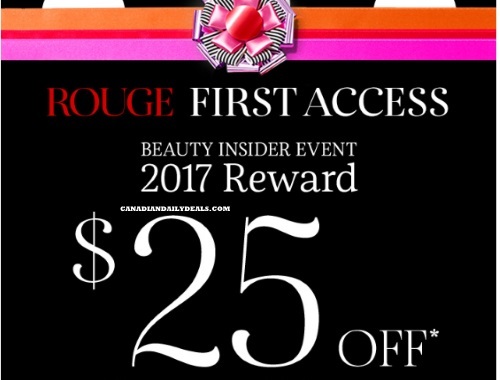 If you are a VIB Rouge you can shop this event a couple of days early too (and one more day compared to what other levels get) from November 30-December 13, 2017.